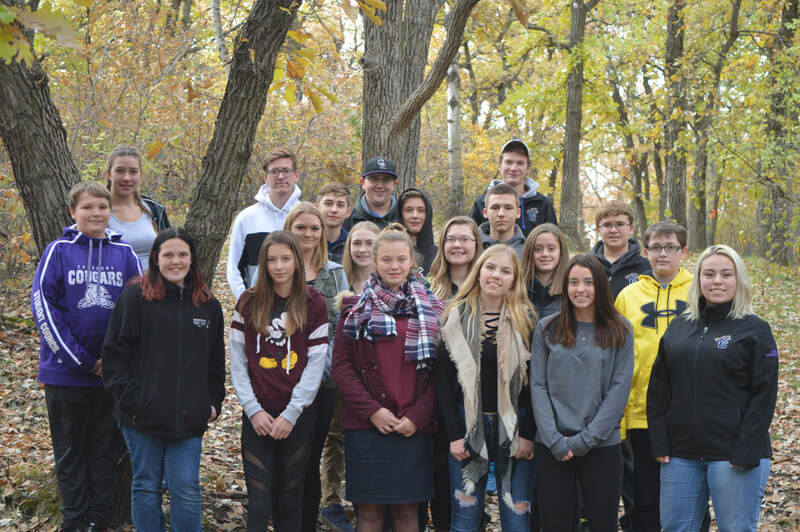 Carberry Collegiate's Peer Mentoring Program involves Grade 9-12 students who learn to listen to and help facilitate the growth and development of other students. Peer Mentors is a program for kids by kids. Peer Mentors provide advice and support and serve as role models for others who need help. Challenges facing those being mentored include problems with schoolwork, social issues, such as pressure to drink or smoke, family problems or tension, and other typical difficulties of growing up. Peer Mentors have been a positive influence in our school in providing a relaxed atmosphere where students can interact with each other. Peer Mentors will provide a safe environment where students are listened to in a confidential manner. They will not only be approachable, but will serve as positive role models for the student body. This year, on October 11 & 12, the Peer Mentors will travel to Valley View for camp. We spend the two days learning how to be good listeners, how to assist our peers at Carberry Collegiate, and make sure everyone gets the help they need. And we are able to have some fun along the way and get to know one another a bit better too! On Oct.23, the Peer Mentors welcomed the Grade 5's to Carberry Collegiate. First, an explanation was given of the role of Peer Mentors in our school, then the PM's introduced themselves. We went to the gym for several games of Octopus Tag and Survivior Finally, we returned to the canteen for cookies/cupcakes and a drink. This event gives the Grade 5's a chance to get to know the Peer Mentors and the Peer Mentors are able to meet the Grade 5's. On Oct.23, the Peer Mentors gathered all the Grade 6-8 classes in the canteen. This assembly gave the students a reminder about the role of Peer Mentors in our school and the PM's were able to introduce themselves to the students. The Peer Mentors will be assisting with the CC Homework Club this year. Grade 5-8 students can attend on Days 1-6 from 12:30-1:00 in the library. In addition, some Peer Mentors will be "mentoring" students at recess to help with social skills and conflict resolution. 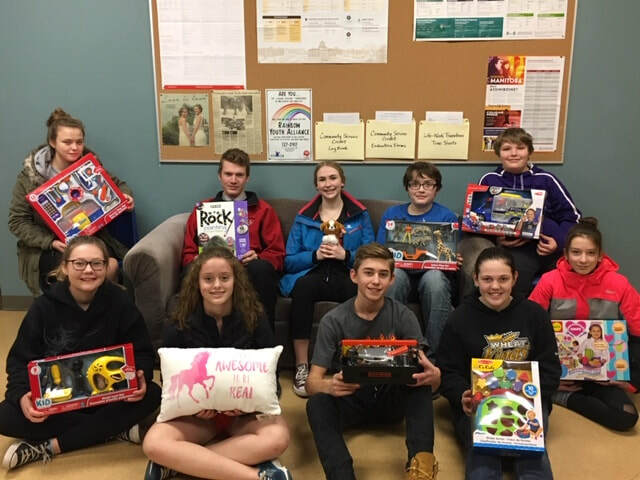 Once again, the Peer Mentors partnered with the Carberry Christmas Cheer Board to buy presents for local children. Each class raised money and were assigned a child / children (age & gender) to buy for. Thanks to all students and staff members who generously donated to make this project so successful! CC held its third annual Grade Wars competition this year. 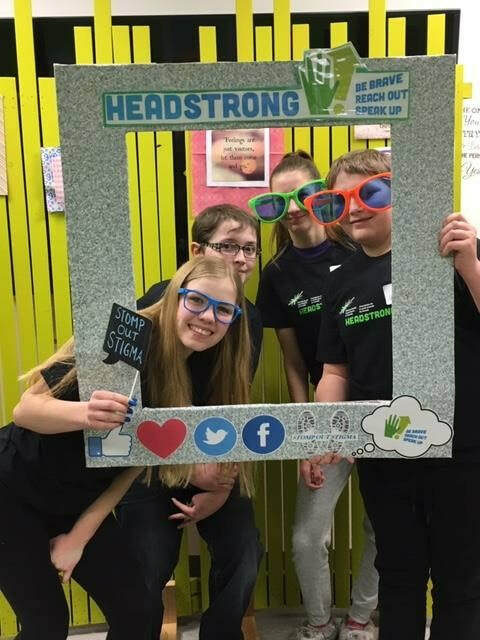 Grades were pitted against one another over three days (Mar.20-22) in events such as marshmallow architecture, tug-of-war, banner, Mario Kart, spelling bee, duct tape fashion show, dance off, and many others. Thanks to all grades for your amazing participation!! 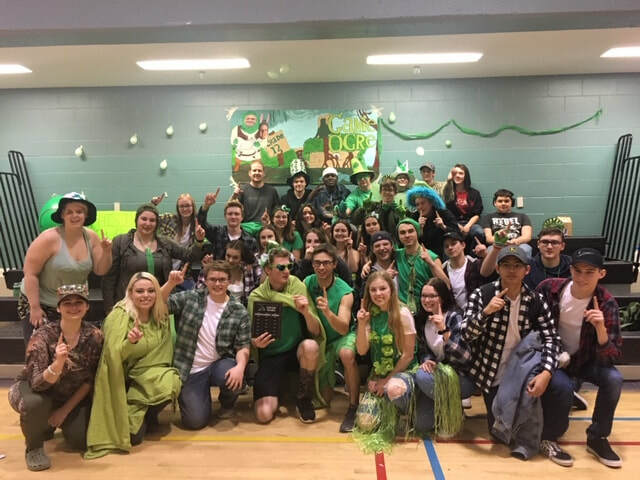 The winner of Grade Wars 2019 was the Grade 12 class. Congratulations! Thanks to all students and staff who took part!